Early Childhood Teachers' Empowerment Training (EC TET). 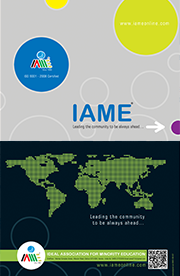 IAME is a confederation of more than 300 English medium schools run by the managements of minority communities in India. Watch our latest activities photo gallery. Watch our latest activities video gallery.